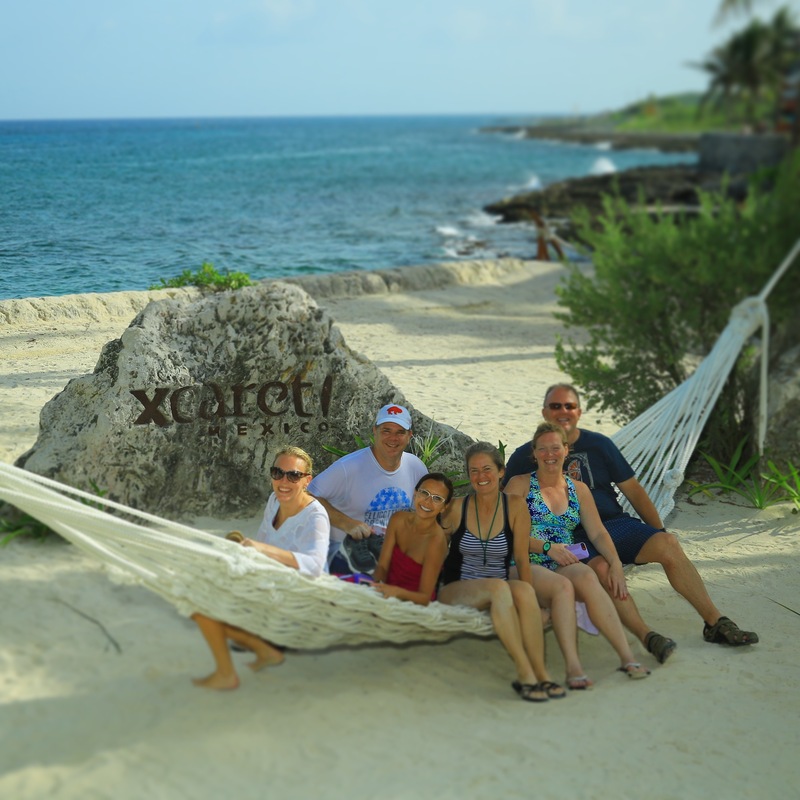 Joan and Ken invite you to join our Wedding Celebration at the Amazing Hotel Xcaret! 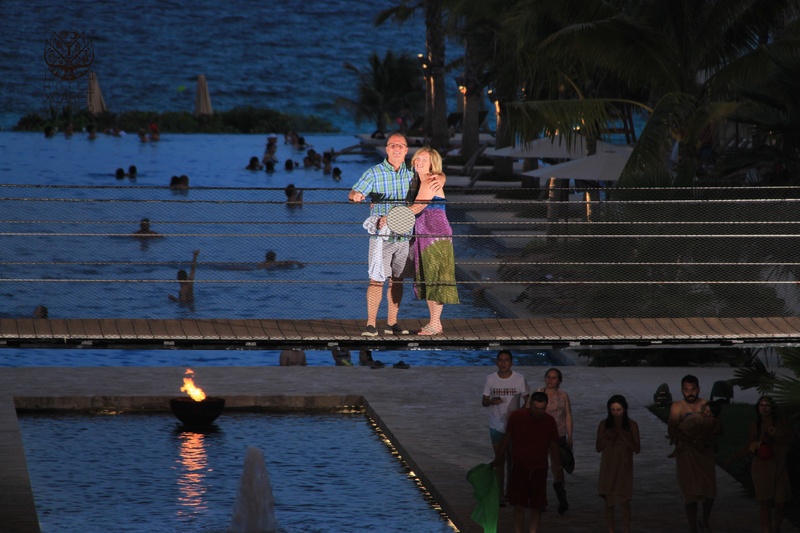 We're excited to celebrate our wedding with you, and share this amazing destination with our friends and family. 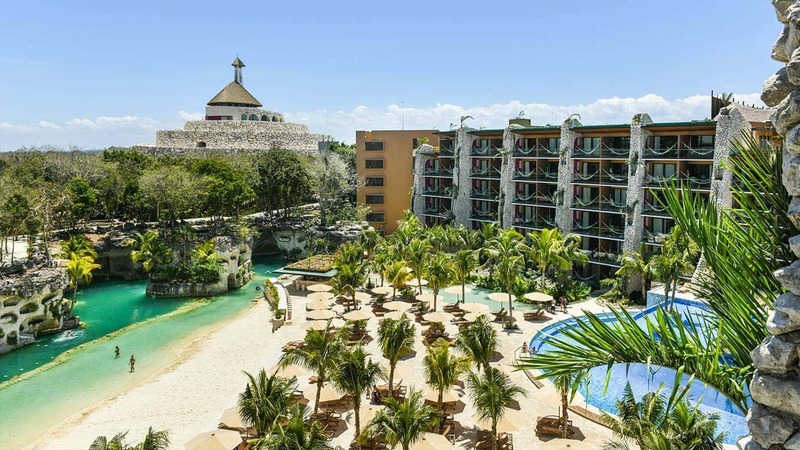 Between the Riviera Maya forest and the turquoise expanse of the Caribbean, you’ll find Hotel Xcaret México, an exceptional destination rich in history, nature and entertainment. 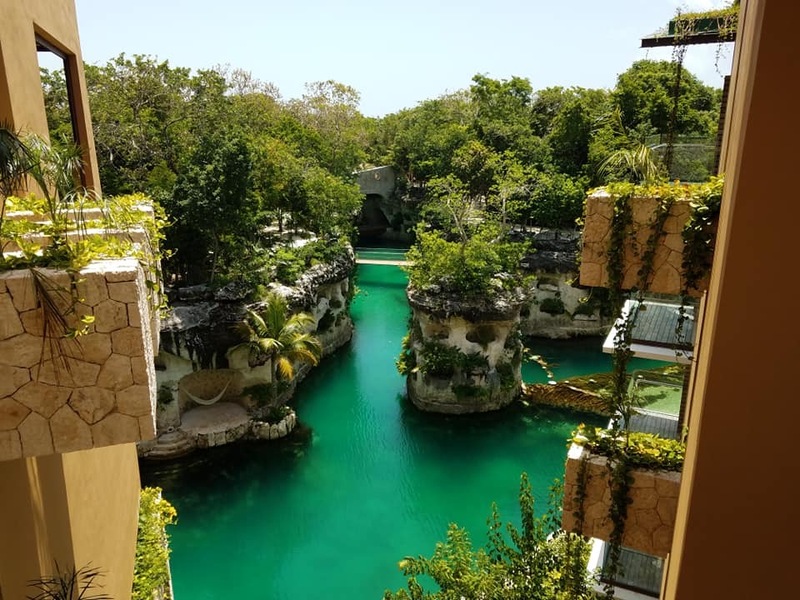 With a remarkable Mexican essence, the design of Hotel Xcaret Mexico integrates modernism, nature and tradition with an architectural vision in which from any point of the room you can admire spectacular views of the turquoise sea, the rivers, the pool or the jungle. 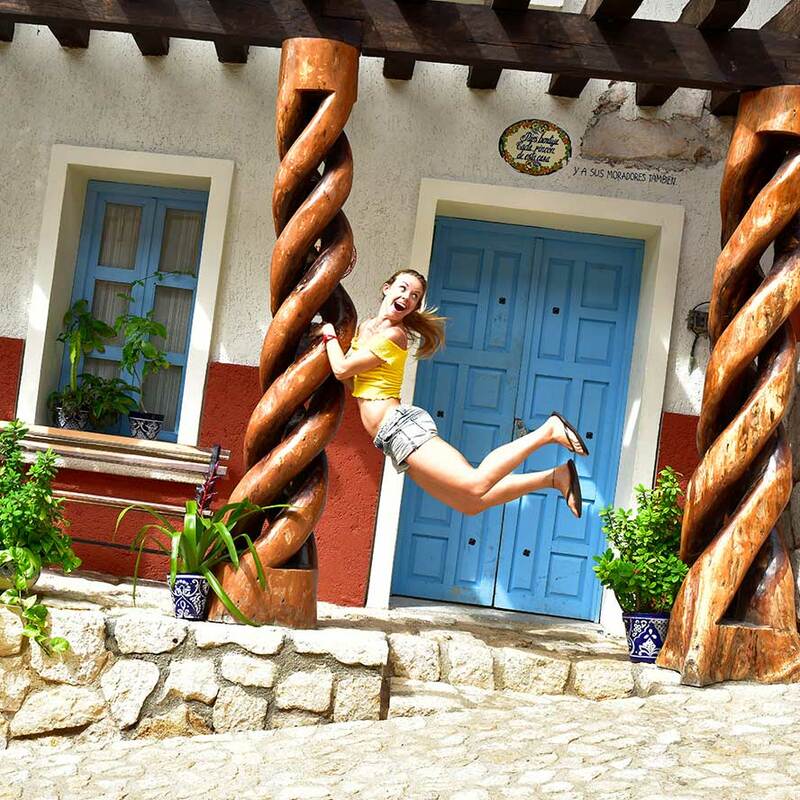 The vibrant experiences of our parks, the natural wealth, the living culture and the interaction with our people will forever change your concept of vacations. 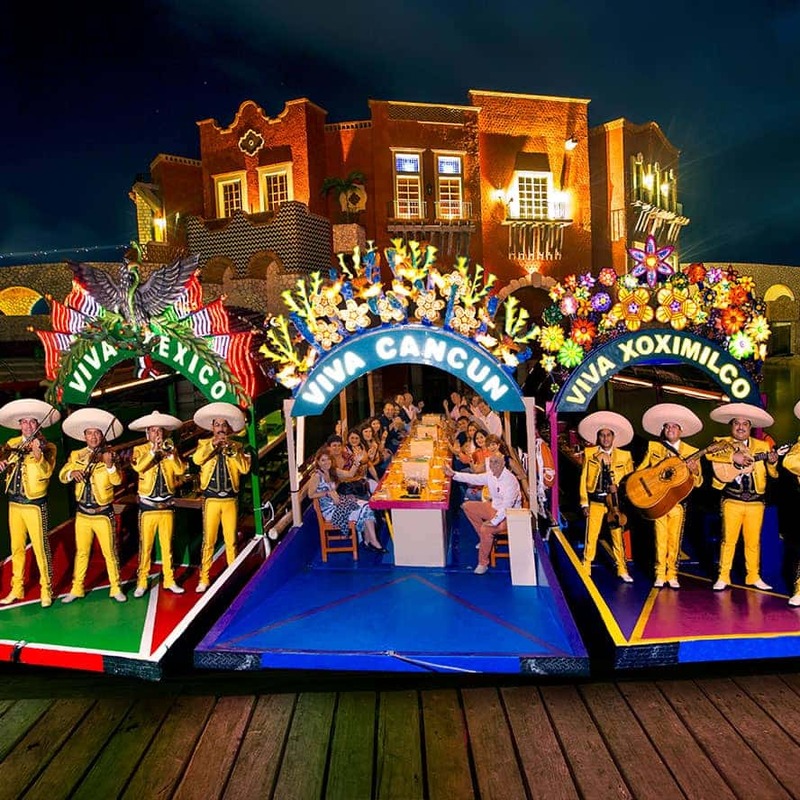 We want you to see and remember Mexico for what it is. Walk or bike through the trails of the jungle of this natural wonder of Mexico. 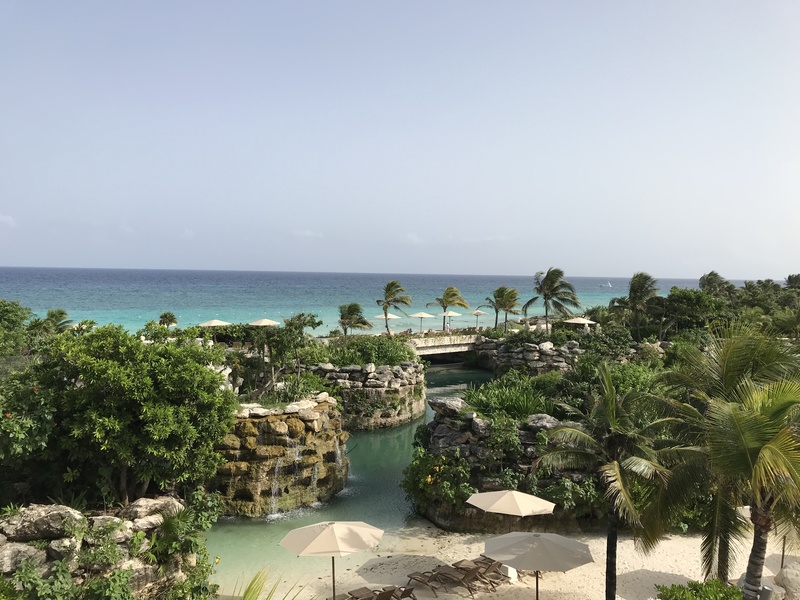 Enjoy a whole day snorkeling in the cove and in the river, and enjoy the view from the Scenic Lighthouse before descending into a natural pool. Children and adults will be able to do zip-line activities, swim among different species of fish, and cross a fun floating bridge. 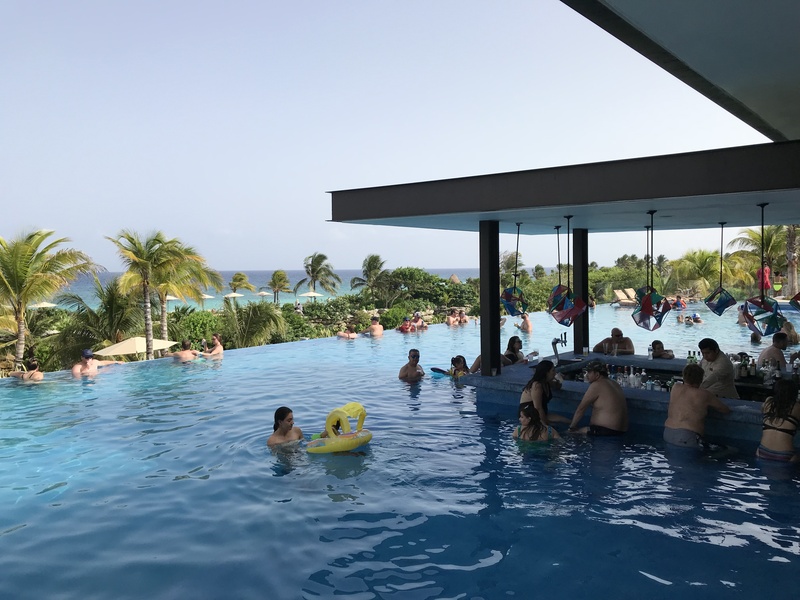 In addition, you will enjoy all the food and drinks you want during your visit. 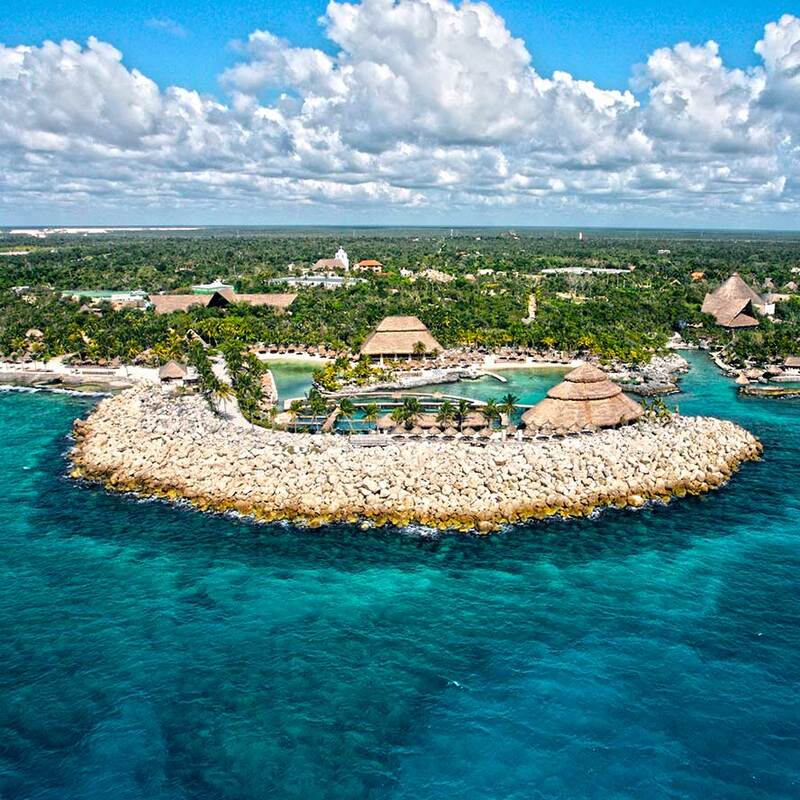 This exciting park, immersed in the lush Mayan jungle, offers countless activities where you can feel the thrill of flying among the trees with the highest zip-lines of the Riviera Maya, drive amphibious vehicles, and tour refreshing underground rivers through stalactite caves. You can also enjoy juices and original nutritious smoothies, as well as an exquisite buffet whenever you want, during your visit. 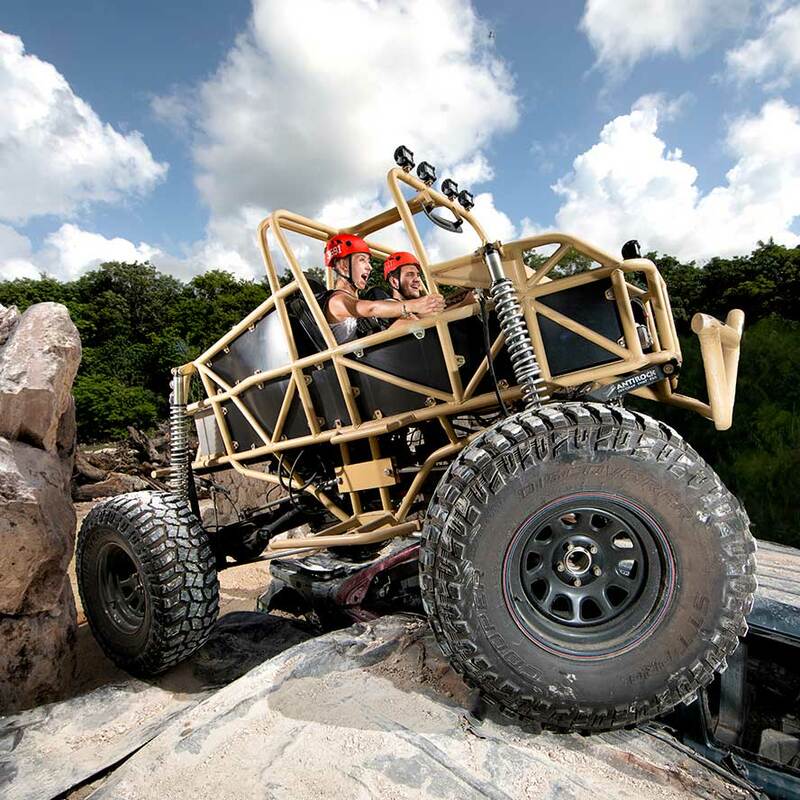 Whether you prefer adrenaline activities or something more peaceful, Xavage has an option for you. Enjoy an entertaining kayak ride, and overcome the challenges of a fun ropes course suspended in the air. 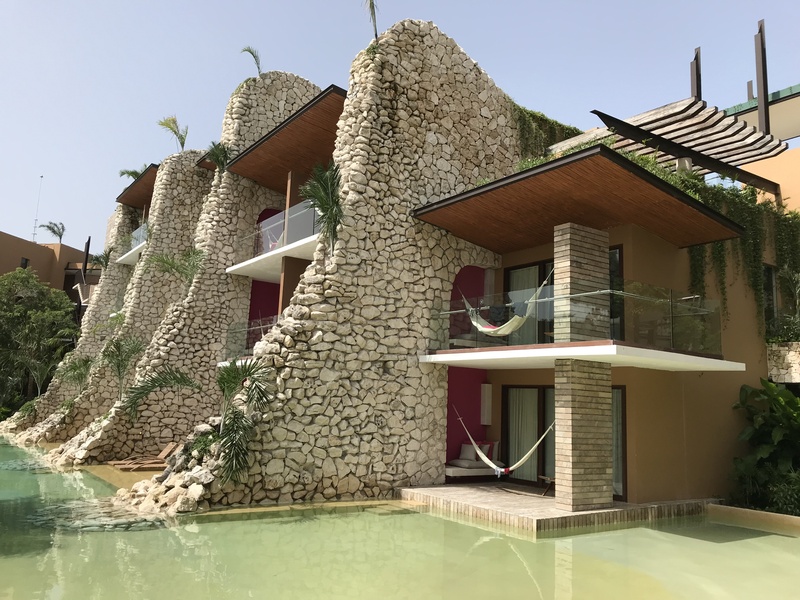 Additionally, you have the option to choose between four adrenaline activities: driving an off-road vehicle on an exciting obstacle course, enjoying the speed of an unpredictable jet boat ride, flying horizontally on a zip-line, or taming the waters of the only rapids in the Riviera Maya. For the little ones, Xavage has a section designed especially for them, where they can discover their own adventurous side. 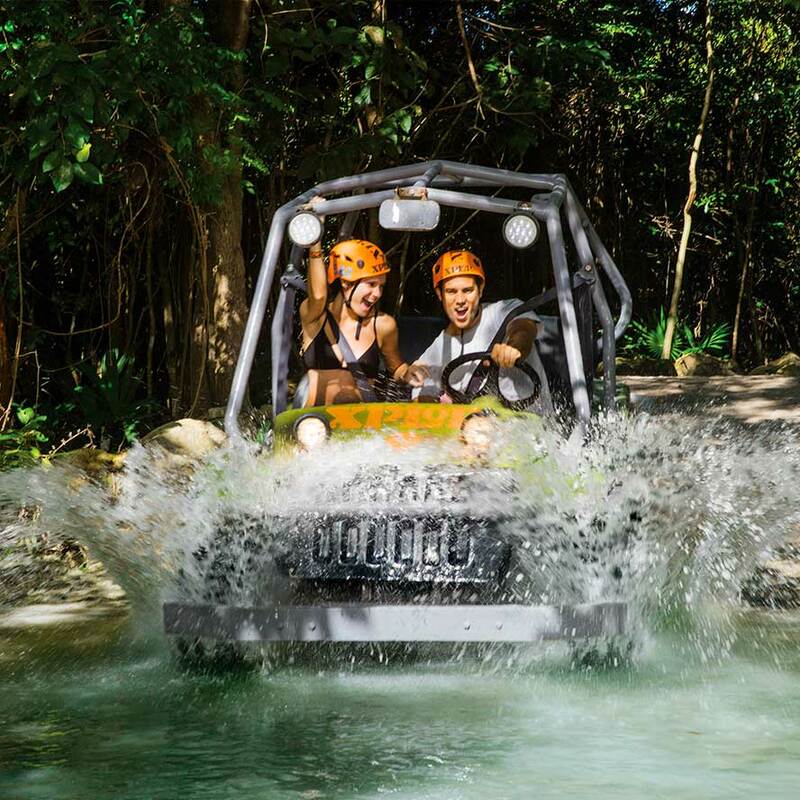 Drive amphibious vehicles through torch-lit paths, paddle with your own hands along “lava” rivers, and fly on the highest zip-lines of the Riviera Maya, flying above the trees in the middle of the night. At the end, you can delight yourself with a delicious BBQ ribs buffet, fresh flavored waters, or just relax in front the campfire.